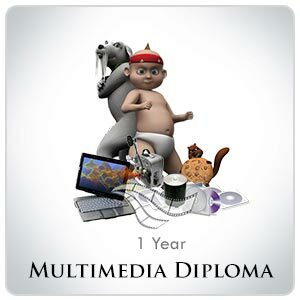 Master Diploma in Graphics Web Animation (MDGWA) includes Adv. Graphics, Web Design, 2D Animation, Video Editing, Special Effects. Graphic Designing is a job oriented and creative designing course. There are ample of opportunities in this course, thus making it popular. 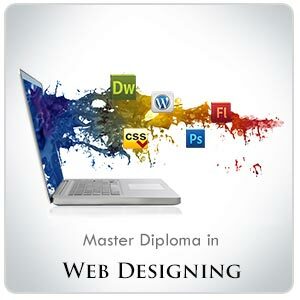 Master in Web Designing courses is 100% practical, specially designed by our website designing experts and trainers who have pooled in years of expertise and specialized know how to bring you a course that’s guaranteed to make you Website Designing Professional. Graphic Design is a very important course. It is practically used for everything in todays day and age. Web Designing Course includes HTML, CSS, Java Script, Photoshop, Dreamweaver, 2D Animation – Flash, Gif Anim., FTP Uploading. Adobe Photoshop is an Image Processing software that enables you to create & edit images. Adobe Flash is still one of the most effective 2D Animation softwares. Flashs helps you design and create truly eye-catching & interactive animations. Its a combination of Graphic Design, 2D Animation and Video Editing. This course is the right choice for you to make a successful career. MDGWA includes Graphic Designing, Website Designing, WordPress with 2D Animation & Video Editing features. A powerful tool for professional digital Video Editing Designed for Professionals making a career in video editing. It Is Very Good Academy. Enjoy Learning And Practicing Here. I Would Always Recommend Softpro From Now. Thank U Softpro. One of the best centre for learning Graphic & Web .The staff is very co operative & helpful. The Live Projects were advanced & I learned to create very professional layouts. Gives Very Detail Practical Knowledge About Any Course. Also Give More Time To Perform Ur Project Very Well. I Got Extra Practical Time And Did Extra Projects As Well. Our Diploma in Graphic Designing is a job oriented and creative designing course. There are ample of opportunities in this course, thus making it popular. We offer Fast-Track Courses to students who wish to complete their learning in a short period. We have High Emphasis on Projects and Live Assignments. Our advanced modules include Graphic Designing, Fashion Designing, Web & Gaphic Designing, Graphic Design & 2D Animation, thus making us the Best Graphic designing institute in Mumbai. We have trained over 10945 + Students & Professionals. hii i m vishal singh.i m learning masters in graphic designing from matunga branch.my teacher avinash sir is very good.he has lots of patience in teaching.he will answer to my repetitive questions.very adjustable and gives lots of project to understand the applications tools we learn.thank you softpro computer education for starting this institute.wishing you all the best for future endevour.I m most thankful for AVINASH SIR HE teach me very well. I attended this institution for a Graphic Designing course which included Photoshop, Coreldraw, Illustrator and InDesign. And I have to say, I am thoroughly satisfied and I am glad for my decision. The faculty here is very helpful. My professor for this course, Shraddha ma'am is amazingly knowledable and completely student friendly. I had previously taken MS-CIT, 2D Animation, Advanced Exel and C++ courses here at SOFTPRO and my experience was awesome. All together, NEED COMPUTOR EDUCATION?? JOIN SOFTPRO!!! I have joined here for graphic design course in fashion which includes Corel Draw, Illustrator, and Photoshop. The faculty is really good and taught really well.My experience is really well, i'll recommend this institute for graphic courses. I had joined this institution for the course of graphic design and I am pleased to say that my experience over the period was excellent. The faculty over here is inviting and helpful. Overall great experience with knowledge. it was nice teaching method . Excellent staff, very patient, and understanding. Thanks a lot. good staff, clean and well -maintained classrooms, and helpful teachers. perfect choice for learning graphic designing. very good for ghrapic desinging.very supportive staff.had a good experience. Teaching faculty is better than other classes. Very good institute for Graphic Designing. I am enjoying my course here. Very good and helpful faculty. Good knowledgeable faculty who motivate you to become a 'pro' in the field is what makes an institution stand out from its peers, and Softpro definitely excels in this region. It's been a great experience and I would highly recommend for the same. 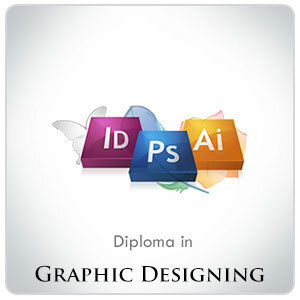 Had opted for Graphic designing course and it is one of the best institute. Individual attention, with a lot of help and projects that will help you understand everything in depth. I had the best experience and looking forwards to opt for other courses which are available and will meet my needs. very supportive staff and best coaching. Had a great experience studying here and got to know more in depth. Thank you Softpro. The faculty is very patient and treats every student individually. They make sure that the information taught reaches the students properly. I had a good experience while doing this course. Faculty gives individual attention to students and is very patient. Had a very satisfying experience at Softpro mumbai. 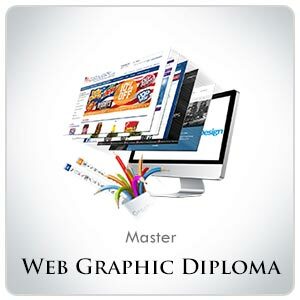 Its an elaborate course covering graphics from beginners to the expert level. Highly recommended if you are looking for a career in graphics. I learned every aspect of graphic designing in this institute.. you must try and go check this institute.. Address: B/2,Vimal Udyog Bhavan, 1st Flr, Opp. STARCITY Cinema, Near Mahalaxmi Society, 5 Min Walk from Matunga (West) Station, 15 Min from Dadar West Station (Come from the Dadar Phool Market towards Ruparel College), Mumbai- 400016.